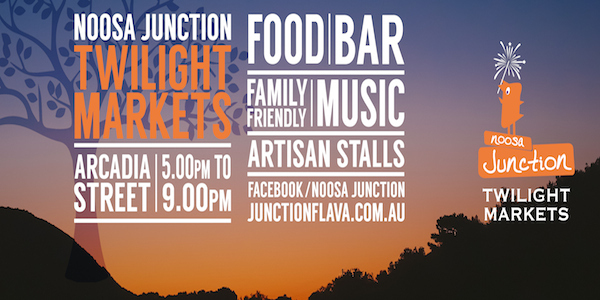 Noosa Junction Twilight Markets, a fun family event held on the third Friday of every month from 5pm – 9pm. Head on down to Arcadia Street for Artisan stalls, food stalls, fun for the kids and great entertainment. A great fun evening out for everyone with free entry.